As Henry Ford III says, “Xbox is the home of racing, and partnering with Forza allows us to bring the Ford GT to everyone”. Ford granted Turn 10 Studios full and unprecedented access to the top-secret Ford GT development studio along with specifications so that the new Forza Motorsport 6 could have the most accurate simulaiton of the 2017 Ford GT as it’s centerpiece. Wouldn’t it be incredible to have such access to the Ford GT development center before the car was even announced? Forza 6 simply has to be seen to be believed. The graphics are incredible and you realize that as soon as you start Forza and see the prologue, which gives you your first opportunity to drive the Ford GT. And for most of us, drive it poorly. Yes, poorly, because this isn’t a game, it’s a simulator and simulators exist to develop skill. After the prologue you will need to qualify in a specific car and track before you have access to any more of the huge range of cars and tracks. And once you do you will then continue to build skills on tracks around the worlds. And then as you build your skills you wild earn access to further cars and then modifications. 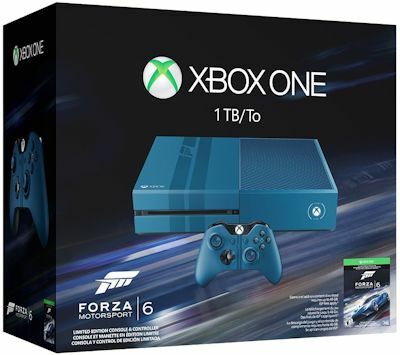 We’ve got the Xbox One Forza Motorsport 6 bundle. We like the special colors and labelling, which mirror those of the Ford GT itself. And when you press the console start button, it sounds like the Ford GT starting it’s engine. How cool is that? 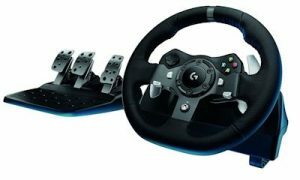 For our own training, we purchased a Logitech G920 Driving Force Racing Wheel combination, along with a Logitech G Driving Force Shifter. A wheel and pedal combo will best equip you to take on the challenges of this terrific simulator.